This paper airplane letter post is an updated version of a popular post from the archives. The letter writing guidelines for Compassion Sponsors have changed. In light of that, I am going back through my Sponsorship Saturday posts and updating the information to better fit those new guidelines. In the past, sending little gifts and “birthday folders” was a way that those of us who might speak “gift giving” as our love language, sent love to our Compassion kids. These guideline changes don’t mean we can’t still send small gifts, but it does change the way that we send them. In the birthday folders that I sent our sponsored boys in 2015, there were many different paper and sticker types of gifts. Those items can be still sent, but in smaller number. 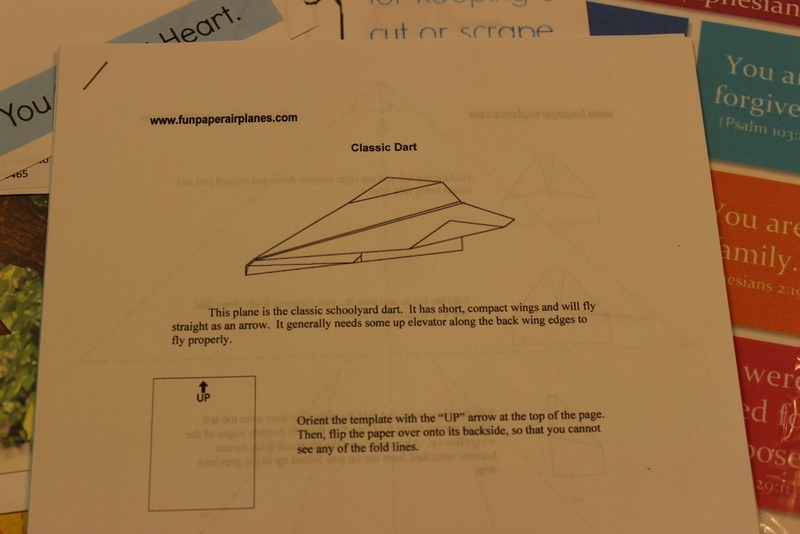 A very popular item in the folders was the printable paper airplane kits. I printed those (3 pages each, with instructions) and added 1 blank sheet of paper per set. These paper airplane kits can still be sent, with a letter or a birthday card, and the correspondence stays within the 6 page requirement. Actually, don’t attach that blank sheet of paper. 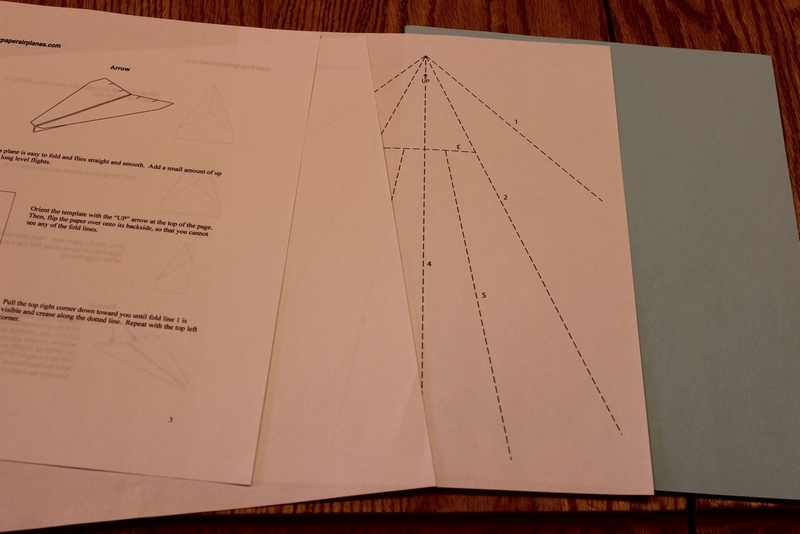 Kind of silly to send a blank sheet paper to be scanned…kids will find scrap paper to make paper airplanes if they find they like the activity! So, all those things you might have sent in a birthday folder? Break it down into smaller mailings, and remember to pour out your love for that precious kidd0 in words of affirmation and truth in a letter to start it all off. The words in the letters are really what those children are hungering for! May God bless you on this adventure of corresponding with your sponsor child. What an amazing opportunity to reach around the world with words of love, discipleship and encouragement! Paper airplanes are such a a fun idea. My mum printed out a bunch of directions and found colored paper and we added them to all our boy letters this month. I like sending my older guys ken-ken (or soduku) puzzles, word searches (if English/Spanish speaking), Christian articles (again, for English/Spanish), tricky mazes, advanced coloring pages and sometimes I’ve found fun search-and-finds or 3D books with the paper glasses at the dollar store!! Oh, sports cards too! Hannah, thank you for all those ideas. Do you buy puzzle books, then tear out pages to send? I love how you’re re-visiting these posts! And to answer the question from before, I do tear out pages of the puzzle books. Did you see that we can attach photos online? Or documents? We could easily scan and upload a paper plane template with a letter or a puzzle page or paper dolls! Wow Hannah, I didn’t notice that we can attach documents. Heading over now to check it out. Thanks. I think this is a great and fun idea. And it can be educational for the kids too.